Currently celebrating its 20th anniversary, Viking® was voted the Best River Cruise Line by Condé Nast Traveler in the publication’s 2017 Readers’ Choice Awards. They were also named one of the Best Ocean Cruise Lines. More than 300,000 readers submitted millions of ratings and more than 100,000 comments as part of the 30th annual Readers’ Choice Awards survey. Viking was also featured in the magazine’s Readers’ Choice issue, which was on the shelves in October. It’s interesting that Viking offers a travel experience with no casino, no children, no umbrella drinks and no nickel-and-diming. Yet, readers voted the company the #1 river cruise line. Keep reading to learn why. Acclaimed for its innovation, distinctive modern Scandinavian design, inclusive value and immersive destination-focused offerings, for the past 20 years, Viking has amassed awards from industry experts and the travel trade. 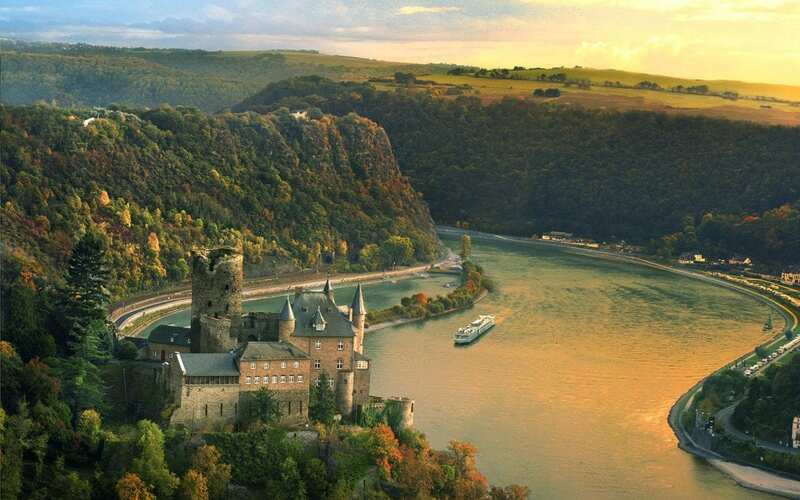 For instance, Viking was also voted “Best River Cruise Line” in USA Today’s 10Best Readers’ Choice Awards. They also earned second-place honors for “Best Ocean Cruise Line.” Viking Star® and Viking Sea® also took second and third place honors, respectively, in the “Best Cruise Ship for Dining” category. In the past two decades, Viking has been honored multiple times on Condé Nast Traveler’s Gold List and Readers’ Choice Awards and in Travel + Leisure’s World’s Best Awards, including being named #1 River Cruise Line in 2013 and 2015. Viking was also recognized by the editors of Cruise Critic as “Best Luxury Ocean Cruise Line for Value” and “Best New Ocean Ship” for Viking Star and “Best River Cruise Line” and “Best River Itineraries,” with the entire Viking Longships® fleet being named “Best New River Ships” in the website’s Editors’ Picks Awards. Additionally, Viking is an 11-time winner of “Best River Cruise Line” from Recommend, Travel Weekly and TravelAge West, as well as many other award wins from respected industry experts. As Viking rounds out its 20th anniversary year, it also closes on 12 months of significant expansion. Earlier in 2017, the company welcomed two new Viking Longships on Europe’s rivers. With the launch of its third ocean ship, Viking Sky®, in the spring – and the launch of its fourth ocean ship, Viking Sun® this month – Viking has doubled its ocean fleet in one year. Viking’s fifth ship, Viking Orion®, will join the fleet in 2018 and will sail itineraries in Australia, Asia, and Alaska. A sixth ship will be delivered in 2019 and will mark Viking as the largest small ship ocean cruise line. The company has also placed orders for two additional sister ships to debut in 2021 and 2022, respectively. If you’re a discerning traveler with interests in history, art, music, and cuisine, you’ll want to take a Viking River Cruise. Ships are small to get you closer to your destination, with more time in port and more overnights. Onboard, you’ll find serene Scandinavian spaces, where every room is beautiful and functional, quiet and filled with light. Only The Viking Way of Exploration brings you itineraries that feature Local Life, Working World, and Privileged Access experiences. Contact a Travel Planners International agent today about booking your Viking River Cruise. You’ll enjoy the Viking Inclusive Value – a small ship experience and no nickel-and-diming – with every cruise fare.